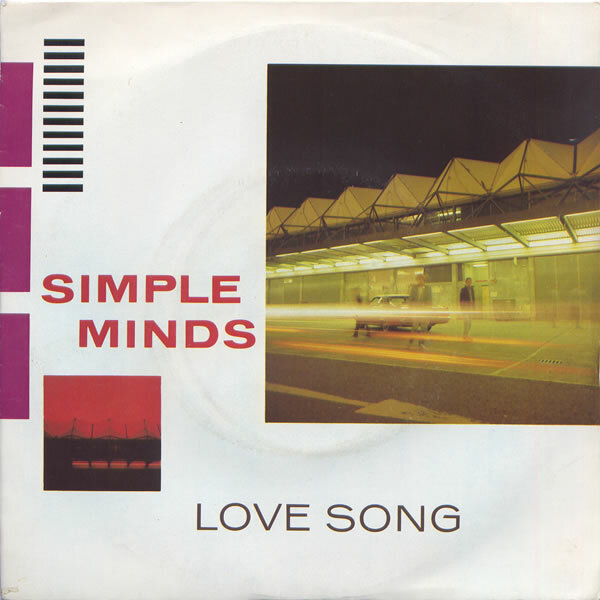 When the needle hit side two, Simple Minds thought nothing of nestling the most commercial song on the album there in the typical lead single position, but “Love Song” was actually the second single taken from the album. It featured an instantly compelling synth riff intro that was simply a use of striking, random wave envelopes. The foreboding rhythms of “Citizen” re-emerged here in a dramatic, surging form. The song was best experienced in its fullest form on the album and 12″ single take, which were identical. The cut up lyric shards that Kerr proffered may not have been anything that listeners could have parsed as romantic lyrics, but that hardly mattered. The song was the band’s first full-on anthem, featuring bold power chords for the first time since “Chelsea Girl.” Where that song looked back to the sixties, this one is looking forward; uniting fragmentary, impressionistic lyrics to a music bed informed by boundary-erasing Krautrock and given a bedrock by one of the finest rhythm sections of their time. The rousing the chords that ended the song seemed capable of holding all of creation upon them. Kerr’s stentorian vocal succeeded in ways that left Spandau Ballet’s Tony Hadley very much in the shade. He retained a substantial modulated power through his restraint. This remains one of my very favorite Simple Minds songs to this day. “Love Song” was their first top ten hit; albeit in Australia, who warmed to the band slightly faster than England had. Intriguingly, it was the result when producer Steve Hillage asked the band why they had no love songs in their arsenal of tunes for the album. After the burst of searing guitar that Charlie Burchill made central to “Love Song,” his contribution to the rest of side two was curiously spartan. “This Earth That You Walk Upon” belied its title to rely primarily on surgically applied guitar licks to accent the interlocking music bed of rhythm boxes, finger snaps, and most memorably, sighs used as rhythm throughout this trancelike number that eschews the motorik propulsion of the earlier tracks for more ambient climes. It offered a delicacy that was new to the band and was a far stretch from the neurotic claustrophobia of “Empires + Dance” that had preceded this album. The title track pulled its head out of the clouds to descend [ironically] to the earth once more as a martial beat propelled the seemingly guitar-free song of only bass, drums, synths, and voice. The lurching rhythm bed suggested a mutant funk that was asexual; using its powers to motivate questing forward propulsion instead of torrid grinding. “Seeing Out The Angel” remained a compelling exercise in a curiously loping rhythm bed mated with a melody of crystalline beauty. Kerr’s deep register vocal was another nod in Ferry’s direction while the rest of us got a whiff of what Roxy Music might have sounded like if Eno had remained and perhaps enlisted his pals in Cluster to lend a hand? Due to the hectic pace of recording and budgetary give and take from Virgin, the songs were not “finished” and the band were left to mix the album themselves when Hillage entered the hospital with heart palpitations, [which he thought was a heart attack] and engineer Hugh Jones was nowhere to be found. Perhaps for this reason, Burchill was very thin on the ground on side two. After his extroverted wah wah solos on “Love Song” that were the furthest thing from funk, any injections of guitar into what was the rest of side two petered out quickly to nothing. There were spectral licks lurking within “This Earth That You Walk Upon” but none to speak of on the rest of the songs’ unless the effects were so heavy that what I mistook for synths were in fact, guitars. It may be that the distinctive sound of these albums [both “Sons + Fascination” and “Sister Feelings Call”] came down to the band having more ambition and talent than time and money. Producer Hillage’s unwillingness [he was still getting production experience at this time; this was his third outside production] to impose structure and discipline on the band certainly had an effect. They were still in the midst of an unprecedented burst of creative energy that had begun two years earlier, and would not really abate for another three years. The fact that in this period, Simple Minds rhythm section was dominant to the melodic elements of the band seemed like a brilliant move in retrospect that afforded the group a dynamic, if left-field, air of distinction. The mind boggles if it was not intentional but only the practical result of the group attempting to stretch beyond the boundaries that their new label had indicated and failing in the attempt! That such powerful and inventive music resulted should spur more bands into not finishing tracks with fully developed rhythm beds! This entry was posted in Core Collection, New Romantic, Rock GPA and tagged 1981, Love Song, Rock GPA, Simple Minds, Sons + Fascination. Bookmark the permalink. Side Two of SAF is a very unique affair. Starting with the anthemic, yet almost tongue in cheek, Love Song, it develops into a collection of ambient rhythm tracks. What is amazing is that the SM managed to keep a level of power and direction through the ambience, using it more as a motif than a conceptual blueprint. Burchill’s guitar on This Earth That You Walk Upon is even more mesmerizing than the looping rhythm and synth lines. The sharply applied shards of guitar pierce through keeping the rhythm section flow from being so smooth that it overwhelms. Kerr is brilliant as a narrator setting scene and propelling the song forward. 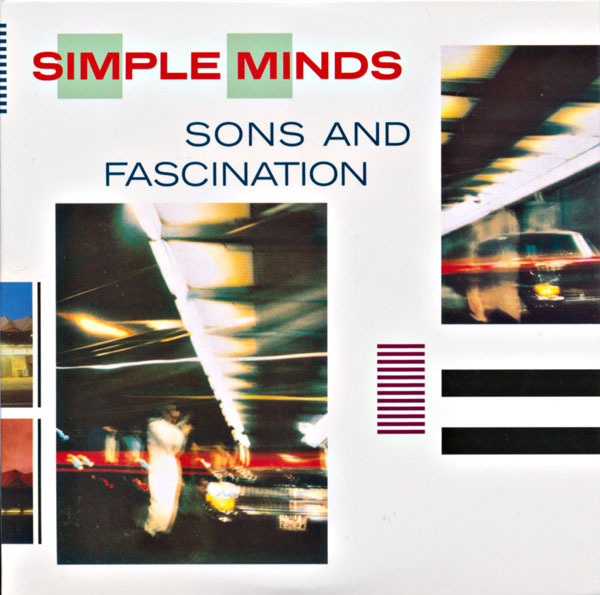 Sons And Fascination is as strong and emotional a track as any of SM’s contemporaries. What set’s it apart from those likeminded bands is the more overt nod to the influence of Krautrock, an influence they incorporate with great aplomb. Derek Forbes’ basslines shake your bones and McGee’s martial drum line is beyond mechanical. Seeing Out The Angel is dark and gothic. The synth, bass and drums lay down a structure which will be fully realized on SM’s next album. Kerr laches onto a vocalization which will serve him well on the next two albums and set him apart from the crowd. Burchill weaves a very ambient guitar through MacNeil’s synths making the inseparable. Side Two ends with what has turned into a classic SM track – AND IT’S AN INSTRUMENTAL! Theme For Great Cities doesn’t lack one bit for having no vocal input from Jim Kerr. It does manage to work as an musical epilogue to SAF with it’s bold, anthemic soundscape. Forbes and McGee are working in overdrive to propel the rhythm forward. MacNeil brings a layer of emotion in with the synth lines and Burchill’s guitar stabs at the rhythm section forcing the forward direction at his will. Theme For Great Cities is a track which made it possible for bands like Future Sound Of London and Fila Brazilia, among others, to even exist. It proves the Leftfield is a fertile ground to create from.